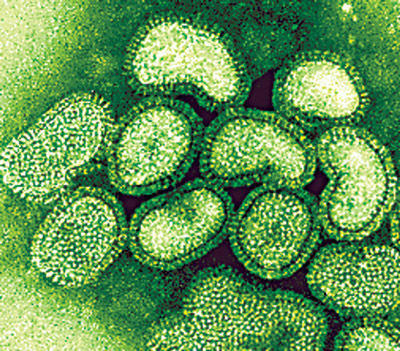 Haynes-Peterson on the Swine Flu Cocktail: In the spirit of The Decameron, Masque of the Red Death and Bonfire of the Vanities, we defy the doomsayers and present the Swine Flu Cocktail. With a dash of Mexico, a splash of medicinal herbs, and a touch of pork (which the FDA says is fine to consume) for good measure, this drink will either cure you or make you not care. Wash glass with splash of Zwack (originally crafted in Hungary as a medicinal remedy). Discard (or drink) liquid. Do not share the glass with others! Sip through straw if you’re wearing a blue surgical mask.